I want to start off with a hilarious but also slightly tragic video..
Hello. My name is Genevieve and I’m the mother of a sugar addict. My 11 year old daughter has always been completely infatuated with sweets even though I didn’t keep them in my home. Somehow, even though I kept sweets out of our normal routine, just the treats that she came across at school during breakfast (yes.. kids had a choice of cocoa puffs or frosted flakes at public school breakfast – that’s another topic that I will write on later) and during parties and at her friends homes, she became addicted. I recently found this hilarious journal entry that she wrote unbeknownst to me, several years back. I was cleaning out my office and found an old notebook and thumbed through it before tossing it. This had me in stiches, but it was also a stark reminder of how serious the addiction can be! I was lucky enough to grow up with a mom that was a former hippie and although I hated never having cereal sweeter than plain shredded wheat biscuits, the lack of sugar in my diet allowed my taste buds to develop in a much healthier way, without the desire for a lot of sweets. I had (and still have) a genuine love the unaltered taste of all kinds of foods in their natural state. There’s something incredibly beautiful about the array of flavors, colors and textures that nature gives us. To instill a true love of healthy food is one of the best gifts we can give our children, one that will bring positive benefits to them throughout their lives. What many people don’t realize is that many foods we don’t associate with as being sweet will react in the body the same way that plain table sugar will. Simple carbohydrates like white bread, many cereals, donuts, basically anything made with plain flour, will turn to sugar in the blood and cause severe glucose spikes. Glucose levels in the blood spike then drop suddenly, resulting in low blood sugar. This is what causes a sense of fatigue, tiredness, lethargy or irritation after consuming a large quantity of carbohydrates. It is variously described as a sense of tiredness, lethargy, irritation, or hangover. What is happening is that the rapid rise in blood glucose leads to a quick insulin secretion, which in turns leads to rapid glucose uptake by tissues. The consequent fall in blood glucose is what causes the negative symptoms. Refined carbohydrates include sugar, honey, all kinds of flour, maple syrup, corn syrup andeven fruit juice. In fact, the typical “healthy American breakfast” tends to be the meal that is highest in refined carbs and lowest in protein—waffles, muffins, toast, instant oatmeal, cereals, bagels, orange juice, etc. Making changes to breakfast is the most important place to start for families, but most children eat far too much sugar all day long. Contrary to popular belief even pure fruit juice is not a healthy choice verses eating the fruit. Many other breakfast options such as chocolate milk, granola bars, most boxed cereals, home-made desserts, whole-grain muffins, and fruit juice-based candies are not healthy foods for children. All of these foods are very high in sugars, which are strongly associated with high insulin levels and inflammation throughout the body, not to mention tooth decay and attention and behavior issues. Sugar causes tooth decay by feeding bacteria that cause cavities. 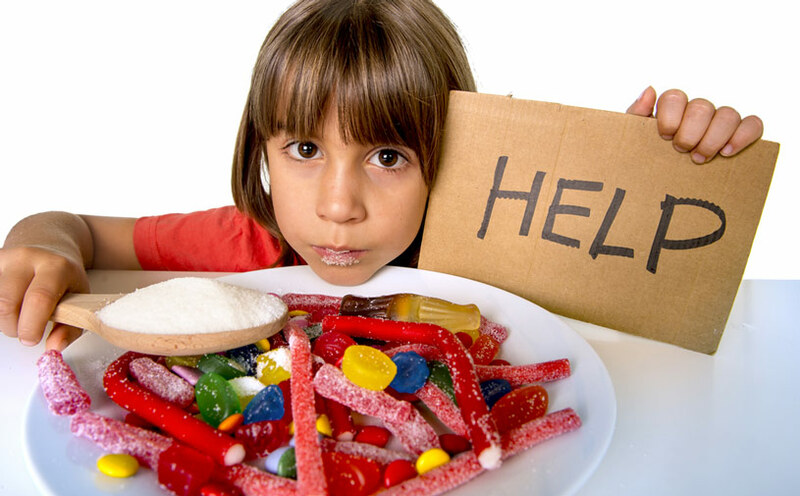 Sugar causes behavior problems due to rapid rises and drops in blood sugar causing erratic insulin releases that leave children feeling extremes between shakiness and lethargy, along with irritability and the craving of more sweets. Sugar causes obesity. Sugary snacks and drinks along with breads, pastas and other simple carbohydrates, are packed with calories and very little to no nutrition. A high sugar diet increases the risk of developing Type 2 diabetes or insulin resistance. Limit, or do away with altogether, sweet drinks. Never feed your child sodas or soft drinks and limit their intake of fruit drinks, fruitades and so-called sports drinks, which have high caloric content in the large quantities that kids will consume when they are physically active. Most sports drinks that you think are a single serving are actually 2-4 servings. That quadruples the sugar and calories. Make sure your child is consuming plenty of healthy fiber. Again, whole fruits and vegetables are the healthiest forms of fiber, they stabilize blood sugar and keep the body from spiking. Shop on the outside edges of the grocery store. Produce, meats, nuts & seeds and some dairy (see article about milk alternatives) should make up the majority of your families diet. Stay away from the inner isles that are filled with process boxed foods. Consider alternative diet lifestyles such as Paleo or Keto, which have been shown in studies to reduce symptoms of ADHD and Autism. In our busy lives it can be difficult to do all the things we feel we should do as parents, but our children’s diet is one we have total control over, and it can truly change everything! As the current Owner & Executive Director of 4 preschool centers, Genevieve has over 20 years experience in early childhood education as well as almost a decade of work in the fields of sustainability and green business. Genevieve has always carried an eco-conscious approach to life and shares those imperative philosophies with the children she teaches. She continues her work with Origins Education, combining her passion for children, her expertise in early childhood education and her knowledge of the principles of sustainability and the new economy movement. 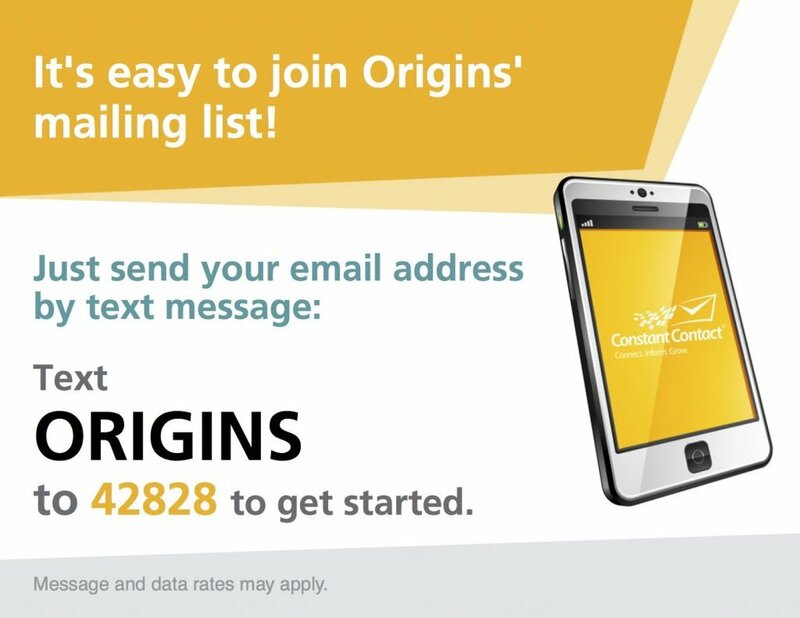 Origins Education’s goal is help foster a generation of young people committed to enhancing the health and wealth of their own communities and ecosystems, to nurture a sense of caring for the Earth and all its inhabitants and to support a lifestyle grounded in an Earth and human-centered ethic.